Latte for Breakfast: Dream job when you were little / what is it now? 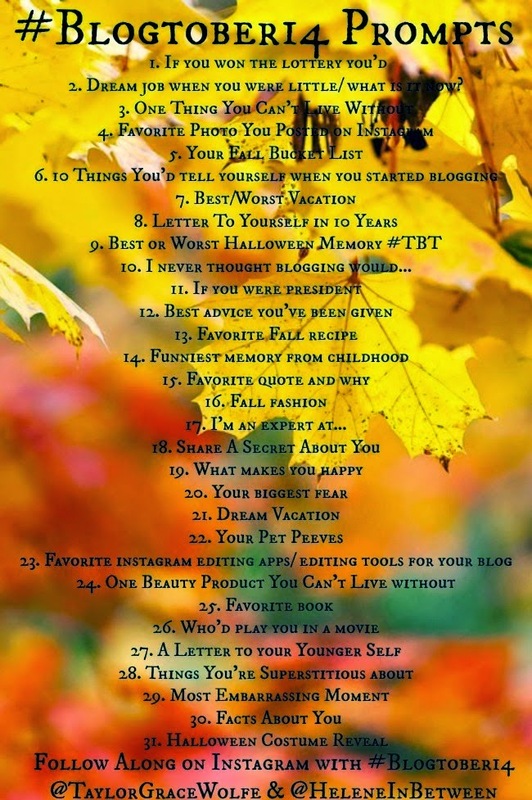 Day 2 of Blogtober14 hosted by Helene and Taylor. Dream job when you were little / what is it now? I had way too many dream jobs and they changed every year! When I was little I wanted to be an actress, a dancer and a veterinarian. I danced in a troupe of russian traditional dance, but when I changed school at 11 I stopped dancing and my dream to become a dancer also stopped. I stopped wanting to be a veterinarian when I was 12 - we took our cat to a veterinarian to do some shots and I found out that veterinarians also do operations like human doctors. And being a doctor isn't my thing at all - I'm afraid of hurting people :(. Then I decided I want to be a psycologhist, detective and writer! I've read too much detectives that's why I wanted to become one, but I didn't want to work as a police officer so I never considered this job real. I failed my dream job of a psycologhist because I have 0 knowledge of biology. And I couldn't learn it enough to pass University entrance exam. Sad but true. I still want to get my second degree and I probably will. Before entering University I wanted to became either an editor or a translater. But my parents opposed it and I finished with degree in tourism management. Which I don't use at all and still want to get my degree in editing or translating. Because I honestly prefer to work with computer instead of people. mine always changed too, but I only wrote about one of them. I loved detective books growing up and thought being a Nancy Drew would be so cool. Then I grew up and realized how unrealistic those books were, haha. 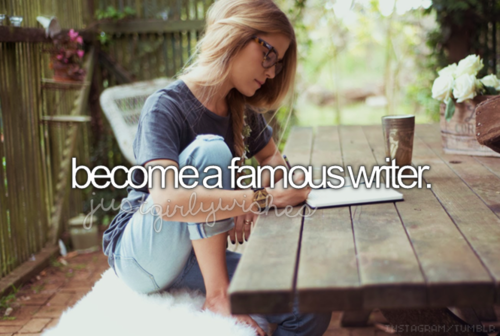 GOod luck with your writing dream!! Mine seriously changed day to day. haha! I'm a very indecisive person so I just couldn't pick one. I wanted to do all of them! haha!